This first version of the REDLINE 41 was built by Bruckmann Mfg., before a merger that created C&C Yachts.(1969). The photo above is of 'Condor', one of only 2 built. A second, more popular version (referred to as REDLINE 41 MKII), was introduced in 1969. Though similar, the REDLINE MK II came from a different set of molds. After sales (of the MKII) declined, the molds were reworked and sold to Lindsay Plastics/Capital Yachts in California were they were used to build the NEWPORT 41. Thanks to Jimmy Kelly for providing corrected information on these models. 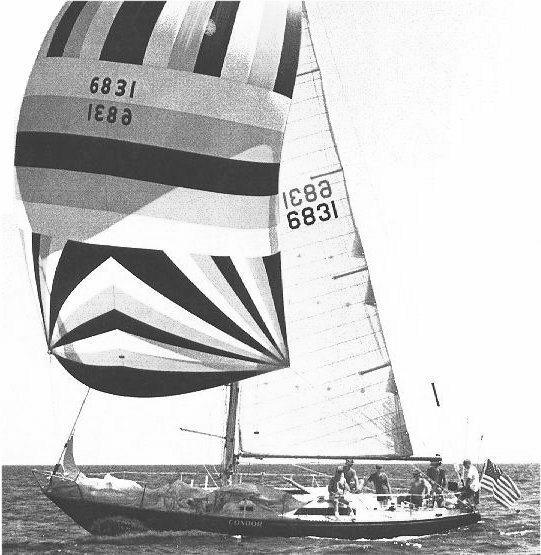 Pictured above is 'Condor', overall SORC winner in 1972.